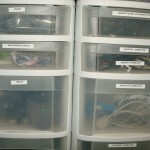 Store salvaged computer parts in clear plastic bins. Don’t throw it out! 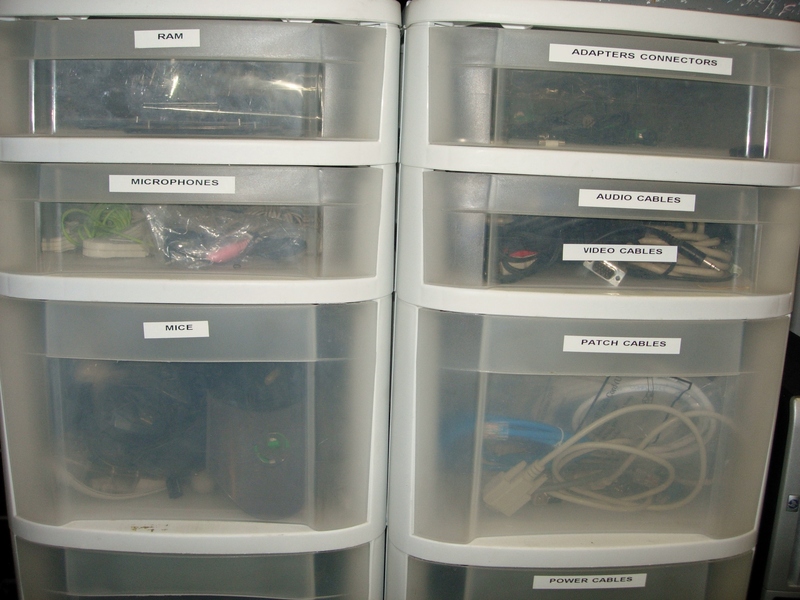 You can extend your IT budget by salvaging components from old computers. These parts can be used to repair other equipment, saving you from having to make a new purchase. I regularly repair computers using hardware from other machines. When a machine is no longer useable I will remove the network, video, and sound cards, as well as any RAM. These parts commonly fail and can easily be used to fix other equipment. The extra RAM especially comes in handy when I need to upgrade the memory on a donated computer. I don’t keep motherboards, computer cases, or cd drives. Those parts I usually throw out. I only keep the good stuff! Do you Salvage Computer Parts? Am I the only one that saves old computer parts? Let me know if you also fix computers using salvaged parts? What is the downside to making a repair with used computer parts?